RESEARCH TRIANGLE PARK, NC--(Marketwired - November 15, 2016) - A new study published by Cutting Edge Information found that 60% of surveyed life science teams agreed that risk of phase 3 failures decreases when using adaptive design techniques in early-stage studies. The study found that many life science companies strongly agreed with this statement. However, adaptive design clinical trials still face skepticism. 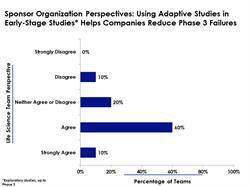 The data show that 20% of surveyed life sciences teams were indifferent to utilizing adaptive studies prior to Phase 3. And another 10% claimed that using these methods did not reduce Phase 3 failures. Cutting Edge Information's study, Adaptive Design Clinical Trials: Strategically Modify Traditional Methodologies to Support Efficient Clinical Operations, discusses that trial sponsors' use of adaptive studies during early development stages may yield multiple benefits that indirectly impact Phase 3 outcomes. When leveraged appropriately, simple adaptive designs that test for futility may allow companies to ditch clinical trial programs that fail to demonstrate efficacy during analyses. 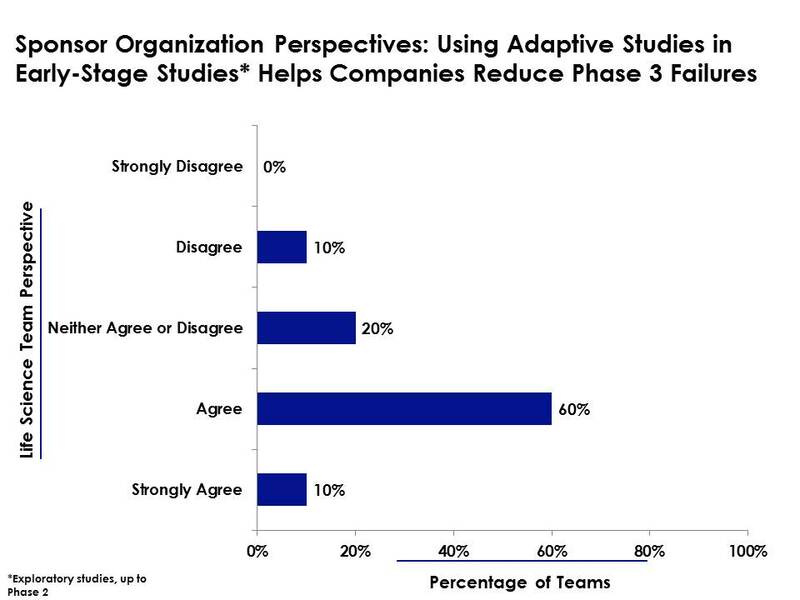 On the other hand, complex adaptive designs may increase companies' knowledge of successful products' efficacy. "Certain phase 3 outcomes are difficult to predict," said Sarah Ray senior research analyst at Cutting Edge Information. "However, others can be prevented with the right amount of time to exploratory research. Some clinical teams may shortchange their Phase 1 and Phase 2 clinical studies to move drugs from exploratory to confirmatory trials." Even if exploratory studies show that a product is effective and safe, traditional trials may not paint a complete picture of the products' dose-responses. Likewise, teams that use a suboptimal product dose during Phase 3 trials may experience additional hardships. For more information about Cutting Edge Information's clinical development research, visit https://www.cuttingedgeinfo.com.